This 16 oz. purple mug makes a great gift for Dad. Fill with a hot or cold beverage and enjoy! Not dishwasher safe. Purple Grandma 21 oz. ceramic Nicholas mug. Not dishwasher safe. 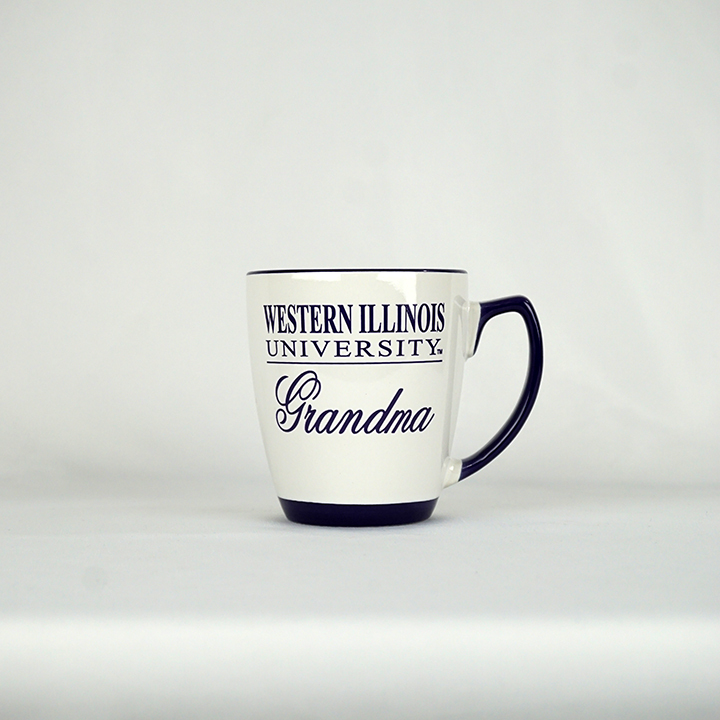 Proud grandmas everywhere can drink their coffee in this Western Illinois University mug. This white mug is ceramic and has a purple handle, bottom, and inside. "GRANDMA" is written in purple cursive. 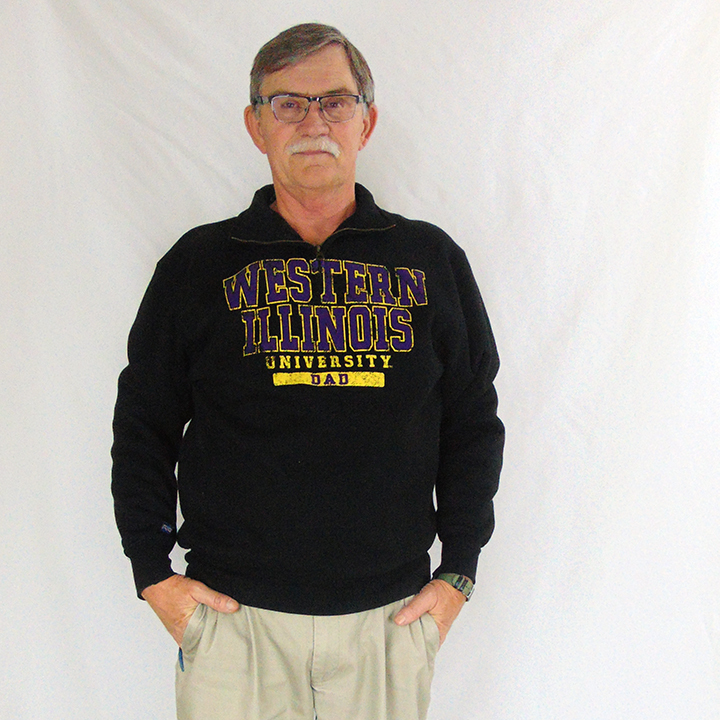 Show that you're a proud parent of a WIU student with this Western Illinois University Dad quarter zip. 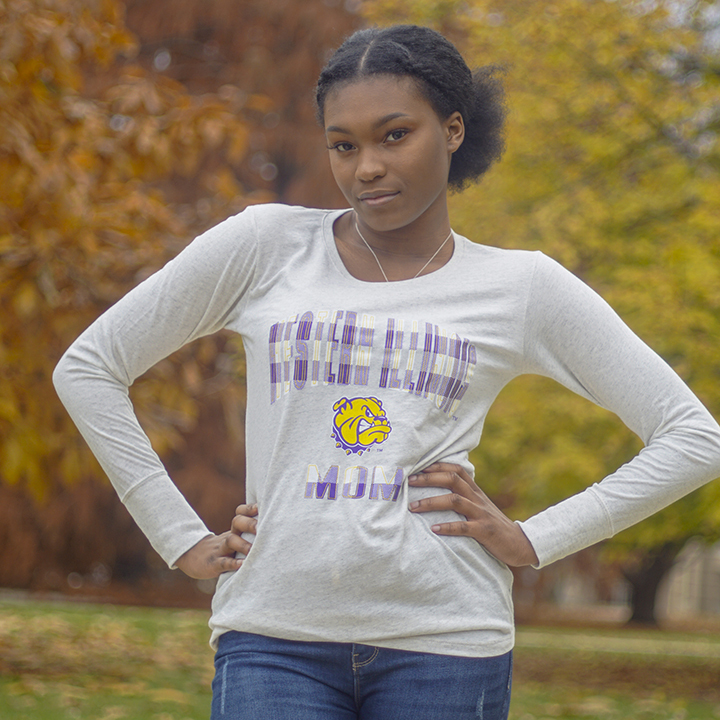 This black pullover is made of 100% cotton and features purple and gold lettering. Please select option for Jansport Dad Quarter Zip. Please select option for Jansport Full Zip Dad Hoodie. 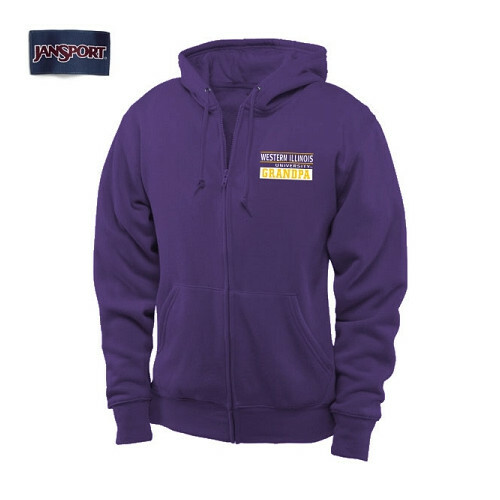 Please select option for Jansport Grandma Full Zip Hoodie. Please select option for Jansport Grandpa Full Zip Hoodie. This 16 oz. purple mug makes a great gift for Mom. Fill with a hot or cold beverage and enjoy! Not dishwasher safe. 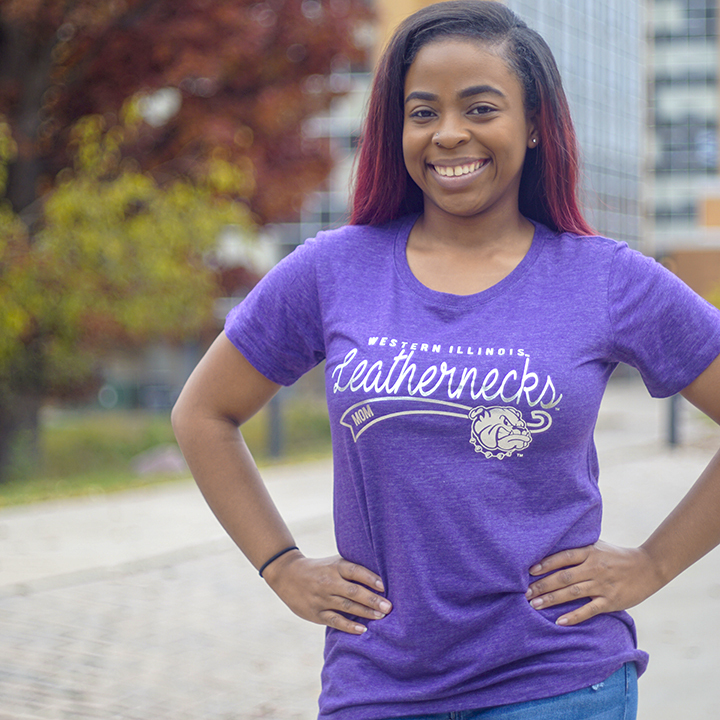 Show your Leatherneck pride wherever the road may take you. These decals are approximately 7 x 2.5 and have a standing Rocky on the left with Dad and Western Illinois University underneath. 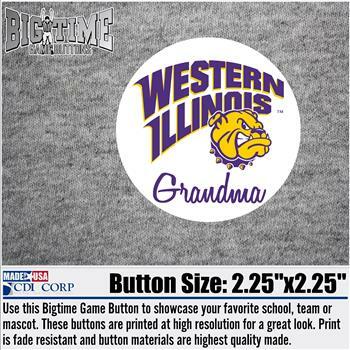 This white button features the classic Western Illinois sweep over Grandma. 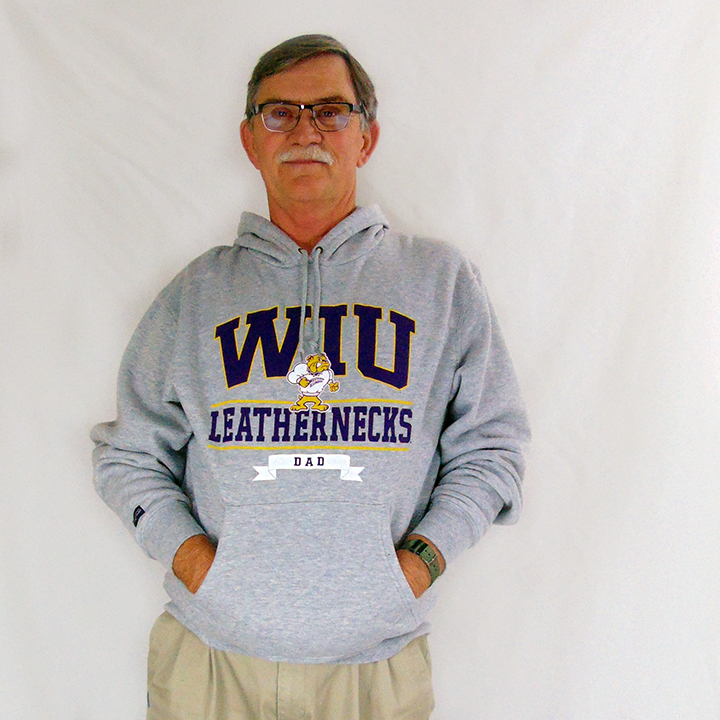 This white button features the classic Western Illinois sweep over Gradnpa.